Salesforce founder and CEO Marc Benioff today joined an increasing number of Silicon Valley luminaries who are backing the first ever coding academy to be created in Gaza, Palestine. In doing so they are putting their stamp of approval on a wider initiative to develop Palestine’s technology sector, which lags behind Israel’s highly developed startup and VC ecosystem. Benioff joins a consortium of Silicon Valley and international tech leaders who aim to match, dollar for dollar, any donations to the “#PowerUpGazaGeeks” crowdfunding campaign. Also joining today is Lean Startups author and guru Eric Ries. They join existing backers Paul Graham (YC), Brad Feld (Techstars), Dave McClure (500 Startups) and a number of other tech leaders including Fadi Ghandour, Samih Toukan, the Skoll Foundation, Freada Kapor Klein and others. 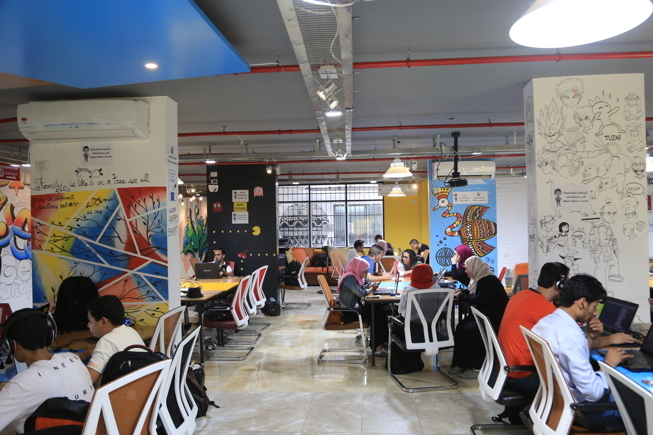 The initiative was created by Gaza Sky Geeks (GSG), Gaza’s only startup incubator and co-working hub, operated by the US-based non-profit Mercy Corps. The campaign has far exceeded the initial target goal of $95,000, which will be used to buy a generator and fuel to extend the co-working hours to include evenings and weekends. You can’t create technology without electricity and cut-outs are so frequent in Gaza that it would simply not be possible to run a coding school without power, hence the campaign for the generator which will power these new initiatives. Said Hassan, GSG’s manager and a startup founder says the area is “facing the worst energy crisis we’ve had in Gaza, with some homes getting as little as four hours of electricity each day.” This is happening just as Gaza’s tech sector is gaining traction, with the first few startups actually closing investment and gaining traction. Local startup Mashvisor was the first ever Palestinian startup to be accepted into the 500 Startups accelerator. Another, Baskalet, participated in the Blackbox programme in the Valley. GSG has extended its target to $400,000, which will support the hub, and see the launch of Gaza’s first coding academy, create 22 internships for Gazans in European and U.S. tech firms, and train high school girls to code.